The first Pocket Farm and Handpecked Poultry chicken keeping course took place recently on a glorious sunny Sunday morning in what can only be described as a ‘majestic’ hay barn venue. I was excited and nervous at the same time as I set up in advance of the first attendees to arriving. Had I forgotten anything? Notes, refreshments, cake, chickens, everything seemed to be there… and then, so we’re the first attendees! A small and very friendly group made for a nice personal feel, something we aim to maintain in the future by limiting numbers. 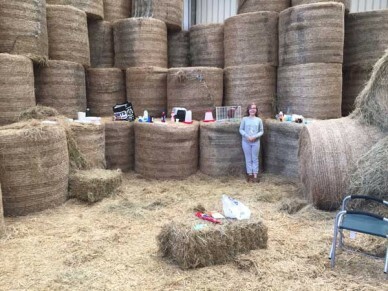 After a short introduction to myself, Pocket Farm and Handpecked Poultry Supplies I first determined what level knowledge or experience was in the class – all were complete novices. One family were still unsure if chickens were for them at all and were there on a fact finding mission to help them decide. Our introductory course consists of sessions on choosing your hens, provision of the correct environment, feeding and healthcare. 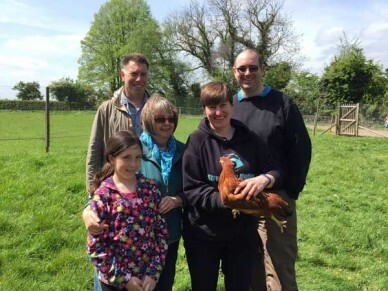 Additionally there is a Q&A and a handling session before a visit to the main run to see some of the breeds available finishes of proceedings – all the fundamental husbandry information you need when starting out with chickens. It was great to be able to answer some of the more specific or detailed questions that were concerning our attendees too, I always maintain the only stupid question is the one you didn’t ask – especially when it concerns caring for your animals – and I hope I managed to allay any worries. Inevitably I’m sure I forgot to mention something but our courses don’t stop when you get in your car and drive off – we are there on the phone or by email for help or advice whenever you need it. Everyone seemed happy and confident by the time they left so I tentatively judged the inaugural course to be a success. This was endorsed a couple of days later when the same family, who initially had some apprehension, bought a starter kit. I have no doubt that they will become as captivated by these charming birds as I am and what a great feeling to have given them the confidence to take the plunge. 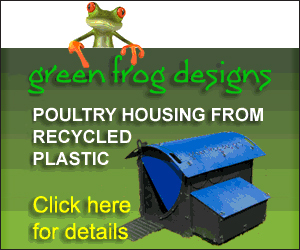 Just wondered if you are doing chicken husbandry courses this year, only on your web page its got dates for 2015, my son and granddaughter would like to go on one.